On November 17, 2018 at 1300 mountain standard time, an experimental Scottish Aviation Series 100 MDL 101, N82696, experienced a loss of engine power and the pilot initiated a forced landing on the lake near Lake Pleasant, Arizona. The private pilot and passenger received minor injuries, and the airplane sustained substantial damage. The airplane was registered to and operated by the pilot under the provisions of Title 14 Code of Federal Regulations Part 91 as a personal flight. Visual meteorological conditions prevailed for the local area flight around the time of the accident, and no flight plan had been filed. The flight departed the Phoenix Deer Valley Airport (DVT), Phoenix, Arizona, at an unknown time. The pilot reported that after accomplishing a preflight check, which included checking the oil and sumping the fuel, he then fueled the airplane before taxiing to the run-up area. After the run-up check was completed, the flight departed to the north toward Lake Pleasant for sightseeing. The pilot stated that while over the lake about 700 ft above water level, the engine started to shake and subsequently lost power. The pilot performed a restart that included turning the auxiliary fuel pump on and dove the airplane toward the water in hope of assisting in the engine restart. The engine started but was producing about 50% power. A glider port was just south of the lake that the pilot thought that he might be able to make, however, the engine again lost power when he placed the airplane in a climb attitude. The pilot subsequently initiated a landing on the lake. After touch down, the airplane sank. Witnesses from different locations, reported seeing a low-flying airplane in the area. One witness at a boat ramp saw the airplane traveling in a westerly direction about 40 ft above the water. He did not hear any unusual noises emanating from the engine. Another witness, traveling in his jet boat reported that the airplane crashed about 20 ft in front him. The airplane was in a nose down attitude. The witness stated that the passenger was able to get out of the airplane quickly, but the pilot had a more difficult time getting out of the airplane. An additional witness reported that the airplane came over the hills at a low altitude and made a sweeping right turn toward the north. It then gained altitude, where the witness lost sight of it as it disappeared into a canyon. The witness stated that the engine sounded normal, but that the airplane was flying erratically. According to the pilot, the engine was rebuilt about 2 years ago and had about 100-150 hours in service. The mixture was approximately one-half inch lean and the auxiliary pump was in the ON position as he was flying low. Mahmood Tehrani had taken his adult nephew for a ride in his Scottish Aviation Series 100 MDL 101 Bulldog when the aircraft started acting up. SCOTTSDALE, AZ (3TV/CBS 5) - A Scottsdale pilot who survived a crash landing on Lake Pleasant last weekend is talking about this harrowing experience. 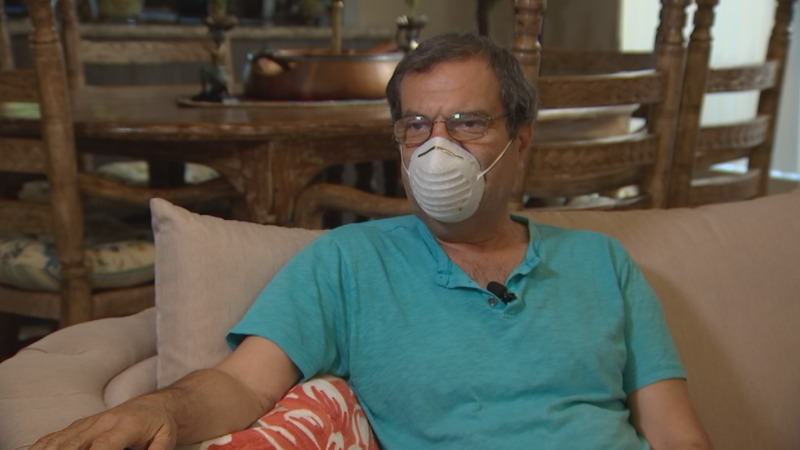 Mahmood Tehrani had taken his adult nephew for a ride in his rare single-engine plane when the aircraft started acting up. Tehrani, who has been a pilot for 21 years, had to take drastic action. He dove down straight toward the water hoping the airflow would get the propeller going again. Tehrani says the plane did not have enough power to climb altitude. Then the engine quit again. Tehrani knew the plane would go down but he had enough time to decide where. He spotted a boat below and steered toward it with hopes someone on board could rescue he and his nephew if they survived the impact. The two braced for a crash landing. Tehrani says he went up for air but realized he his shirt had caught on something on the plane. He struggled to tear himself free and get his head above water. Tehrani and his nephew surfaced. Two men on the nearby boat pulled them from the lake. Tehrani had to get 20 stitches on his chin and a few stitches on his upper lip. He suffered three broken ribs and a few scrapes and bruises. His nephew also walked away from the crash with minor injuries. “Maybe that’s the gift of the Thanksgiving for me,” said Tehrani jokingly. The frightening ordeal, however, will not keep Tehrani from flying the skies. He has another plane and intends to continue doing what he loves. The Maricopa County Sheriff's Office is investigating a plane crash at Lake Pleasant. 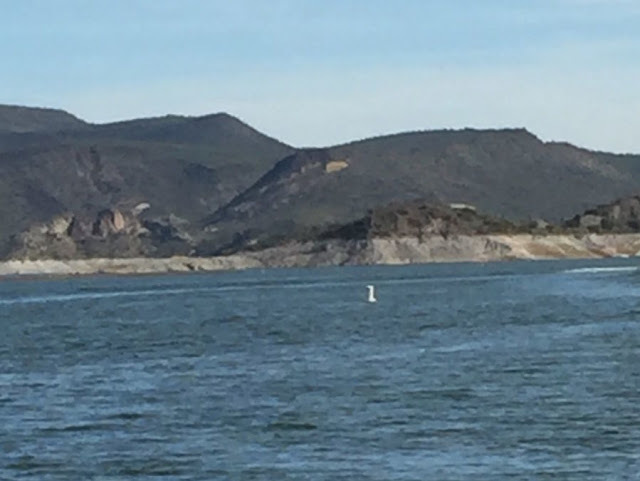 MSCO along with the Peoria Fire Department responded to the report of a single engine aircraft that had gone down in Lake Pleasant near the north four-lane boat ramp just after 1:00 p.m.
Lake Patrol Deputies found a father and son on the plane conscious and alert. MCSO identified the two as the pilot Mahmood Tehrani, 63, and the passenger Fabien Tehrani, 36. They were pulled from the water by two boaters and treated at a local hospital for minor injuries. Jesse Floyd and Jack Ogle said the plane went down just feet away from their boat. "We thought it was a power boat going by us trying to catch us, when we looked back it was a plane because we saw the nose going down," said the two boaters. They said they turned their boat around and went straight to the wreck to help. "The plane went under and two seconds he popped up, we got him on the boat and brought him to shore," said Floyd and Ogle. The FAA confirmed the aircraft sank. They will be investigating along with the NTSB, which usually takes up to a year to complete. The cause of the crash is under investigation, but the pilot of the plane told the two witnesses that their engine may have failed. 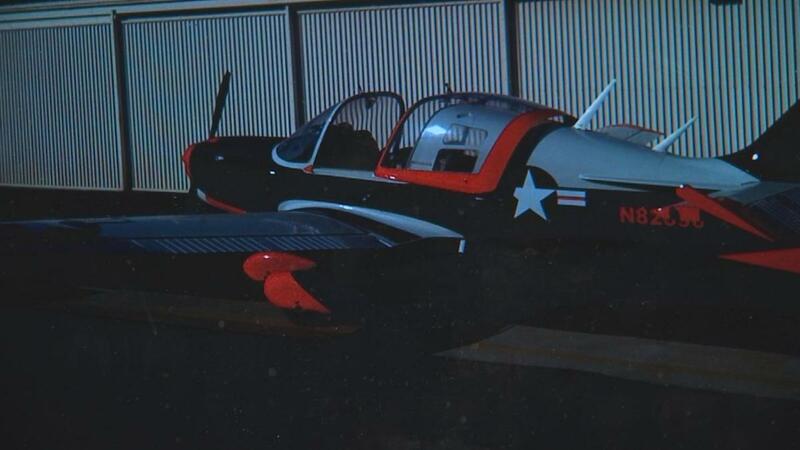 PEORIA, AZ - Two men are expected to be OK after a plane they were on crashed into Lake Pleasant on Saturday afternoon. According to the Maricopa County Sheriff's Office, just after 1 p.m., lake patrol deputies responded to reports of a single-engine plane that had gone down. Officials say both of men, reportedly father and son were treated for minor injuries. They were later identified as 63-year-old Mahmood FaniTehrani and 36-year-old Fabien Tehrani. Jack Ogle was one of two Good Samaritans who helped rescue the two men from the crashed plane. Ogle said the plane crashed about 20 feet from his boat. "The plane sat there nose down with the tail up and you could see the two passengers in the plane and then the passenger he got his seatbelt harness undone really quickly and then the driver he had a little bit more of a problem with it, and then the plane sat there and bobbed a few times, and then all of a sudden it went under with him in the plane. We were about to jump in the water and try to get him out of his harness cause the plane was still bobbing but he was just under the water and he popped up and we got him in the life vest and got him in the boat," Ogle said. "It happened fast, I mean, -- I had -- when the plane crashed I had him to the shore within 15 minutes." It's unclear at this time what caused the plane to go down. Impairment is not a factor according to officials. No further information was immediately available. This comes less than a day after a plane crash killed two people in Heber-Overgaard. Sounds to me like a serious ego problem as well as a lack of understanding on the role of an electric starter. But, there were other issues with the engine not running properly and that can happen to any one of us.